Having made three videos recently showing a lighter side to the UK Police. This post shows you how they were created and what they have in common. I've used nothing more than public images from twitter, a video editor (Sony Vegas) and a lot of patience mixed in with careful observation and heartbeat. The most important element is looking for a suitable pattern in the images and looking to tell a story from that. I'm not going to lie - this would not be possible without having learned how to use a multitrack video editing program (any will do, just choose one that suits, see refs at base of page). This post is designed for people to read it and be curious, maybe with a, That's interesting, tell me more - I want to have a go myself.. The biggest feedback I can have is Audience Retention. 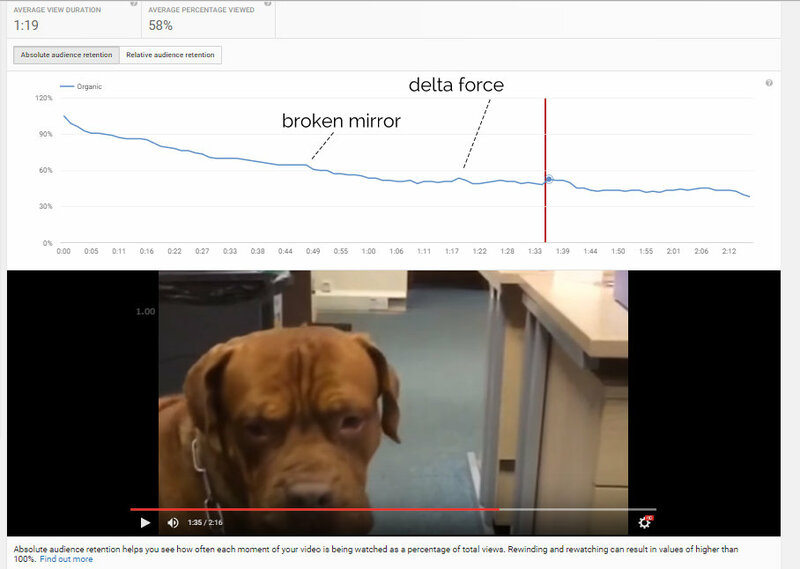 It's a line chart based on the percentage of viewers at each second of any video. If they like something they see, they rewind a bit and that produces a mini spike on the chart (I've made many post on that see my audience retention index). 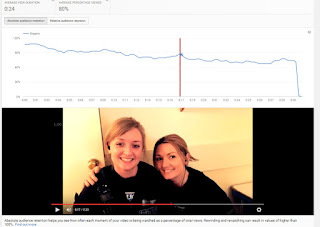 We can see in video 2, Katy Barlow seven mini spikes in 30 seconds, with an audience retention of 80%. This calculated as 24/30 secs = 80%. And in video 3, where there are three spikes. 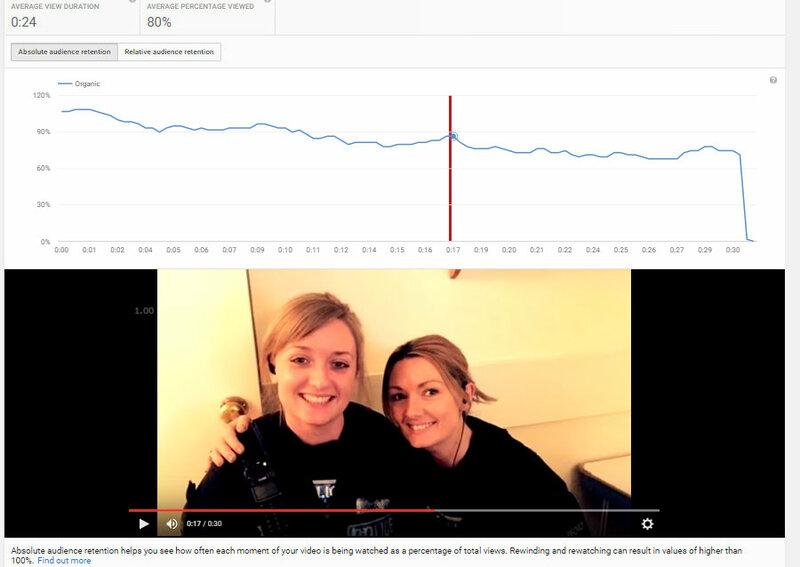 This also shows how a video at over two mins in this style has a retention of 1:19 - I just knew this was asking for the viewer to spend a lot of time watching, unless there was a story to keep them emotionally invested. 1, Go to twitter, look in the user timeline, collect all the images and videos you need (for me, screen captures or save as). In this case, it was anywhere from 60 to 110 images and 6-10 videos. This is dependent on what is available (from the @pcalanconran and @sckatybarlow twitter streams). 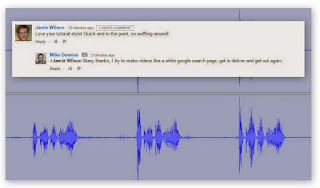 For videos, again to save time I've used OBS to record my screen. For video 1, there was a harmonica clip - this provided the rhythm of the piece. I then used, Insert a Slideshow and used 20 images, then played a little clip bouncing between officer harmonica and officer balancing on a segway. After that another slideshow and the big bonus was the officer raising arms in the air after ending the tune. And that was it. When inserting a slideshow, there can be some key frame auto issues - this means watching the preview window and manually adjusting when needed (I can demonstrate this is a separate video). You can see there are seven tracks used in this edit. With video 2 Special Constable Katy Barlow for #FlakeLady there was a clear objective and a definite timeline (of 30 secs) based on the classic Cadbury's TV Advert. I decided which parts of the original clip I wanted to retain, this amounted to four clips, let's say 4 out of 30 secs - just enough to provide an essence. I then had a four section block where I could add the slides. I did some math here, forcing the Insert Slideshow to arrange n slides in a set period of time. I also know I work on about 1.2 secs per slide. Making any video like this is like laying out a floppy mosaic on the floor, yet it acts like jelly and keeps moving all the time. And every time you look at it -- you are trying to be honest with your emotions about what you see, and not how frustrated you are about the video process (especially if you are on a deadline - with this clip I was as it was a twitter poll for fun). I'm particularly pleased with the last second of the piece, combining the five track with text, photo and original clip with doors a closing. You will also notice little orange markers - they are invaluable as nothing more than post it note reminders. Alot of video editing is looking at how long a clip stays on screen and what it does while it's there (like pan, zoom or fade). Deconstructing any video is also invaluable as a tool to learning. Video 3 The Bill was a whole new world in that I wanted to keep a strong relationship to the original 1980s opening title sequence. Having the Thames TV ident was a bonus and added to days gone by. There are ten individual Insert a Slideshow sequences. I've used the 38 sec clip until it ended then used a combination of slides and blue light videos until about two mins when I decided to end the piece. I never go over about two mins. At 00:37 I remade the original The Bill text using an Essex Police helmet and new text. I tend to work left to right along a timeline, in other words adding the ending when I get there. 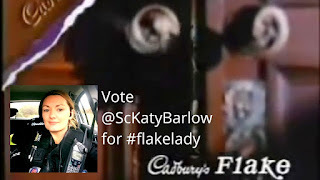 In this case a slide and animation about Milk Tray Man. This edit was made over two days with the timeline edit taking about five hours. Most of this time is thinking and clicking. I made a few attempts at the slide for The Bill slide, wanted PC Alan to feature, but had no video clip, tried out a few images, they failed so settled on a generic hat (after all the slide is on screen for 5 secs and text 2 secs). Although this post features UK Police, the video editing examples can apply to all topics, after all YouTube has a billion users, that's a third of all people on the internet. Video watch time is up 60% and mobile views have doubled. There are over 30,000 YouTube partners out there who make videos for a living (whether part or full time). And those videos do not make themselves. Good Luck ..
Video Playlist - Three videos I've made and three videos where we found the inspiration ..